The Machinery of Fabrication in Industrial Plants. A Book of Glass and Steel. The Geometry of Mechanical Time. Lives constructed from a Framework of Mutated Time. 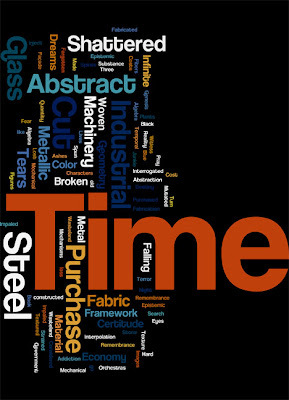 Three Characters on a Framework of Industrial Time. The Algebra of Steel and the Geometry of Destiny. Time as Material Substance in an Economy of Terror. Abstraction and the Certitude of Remembrance. We Turn on Steel in the Shattered Night.